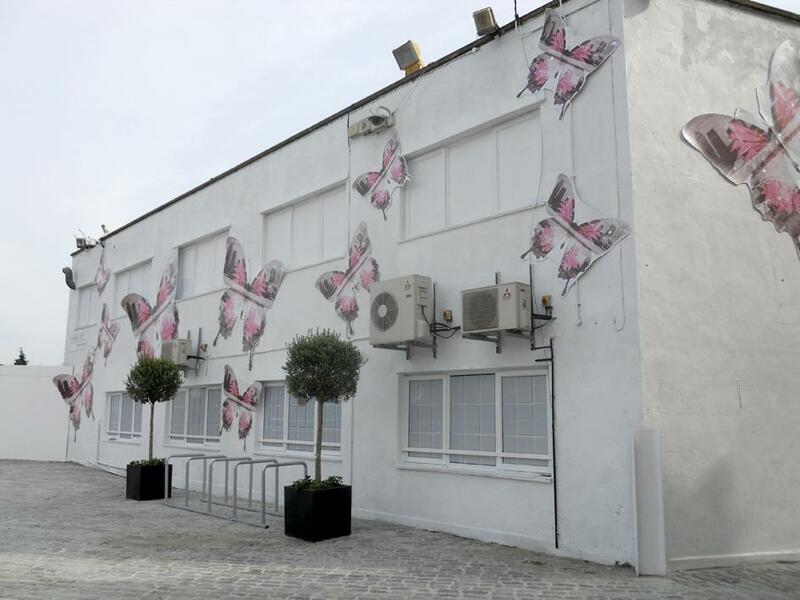 In Summer 2012, we worked with David Apps to install 'Butterflies 2012' at The Strand East Tower, Danes Yard, Stratford. 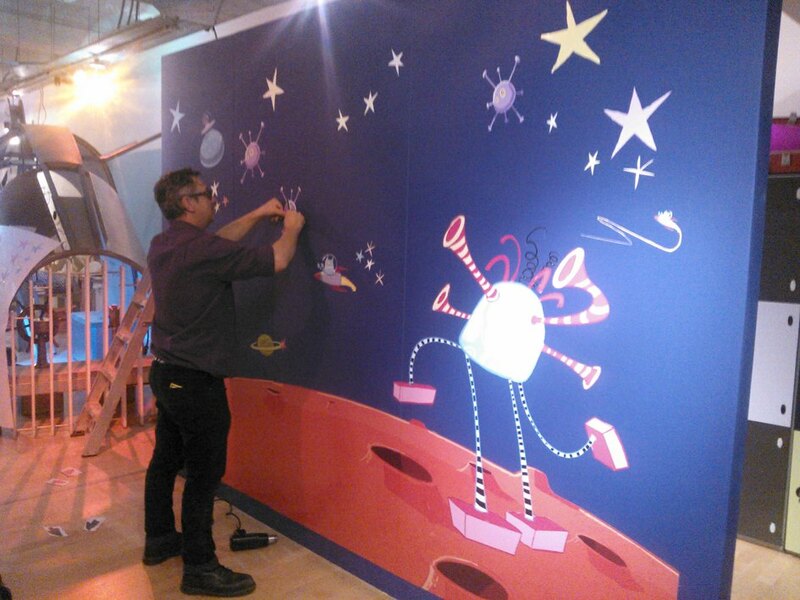 We produced these wall graphics that Ian installed at Discover Childrens Story Centre in Stratford, East London. Hippo screenprinted artist Rebecca Salter's design, in white, onto frosted vinyl. 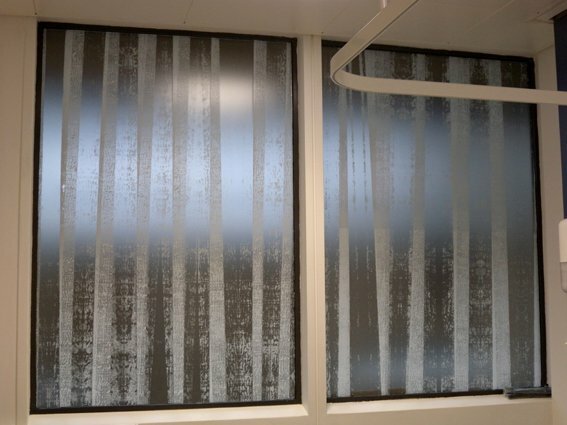 Applied to windows, partitions and doors at Guys Hospital.